I’ve been working on some of these little Springish/Easterish Goodies. I’m going to carry some in my shop, so if you’re ever in Manhattan, please stop by. If you’d like to make your own, the pattern is available on my site. 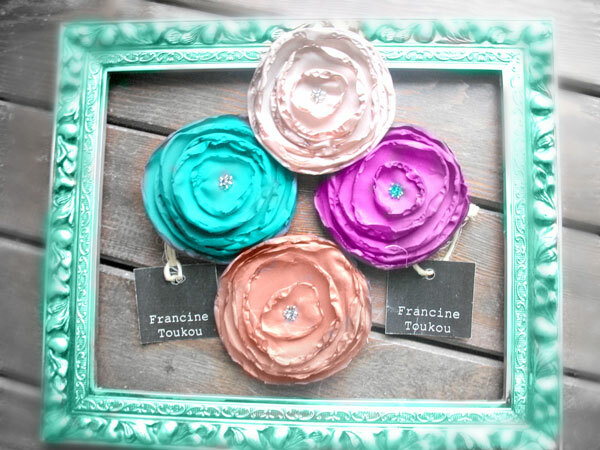 www.francinetoukou.com. The name of the pattern is “Poppies Galore”.